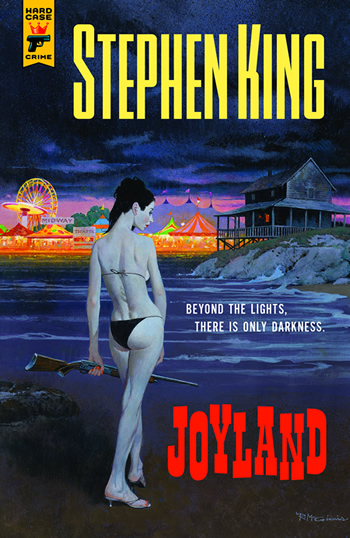 Just in time for the summer reading season, Hard Case Crime is set to release Stephen's latest tale of paranormal mystery and terror, Joyland. After realizing his romantic life is not going in the direction he'd hoped, Devin Jones decides to take a summer job at an amusement park. There he makes friends with Tom Kennedy and Erin Cook, also summer hires at Joyland, which years before had been the scene of the murder of a young woman named Linda Gray whose ghost is said to be seen at the Horror House. He also befriends a young boy, named Mike Ross and his mother, Annie. Their lives all become entwined when Devin decides to investigate the mystery of Linda Gray's unsolved murder by the "Carny Killer." 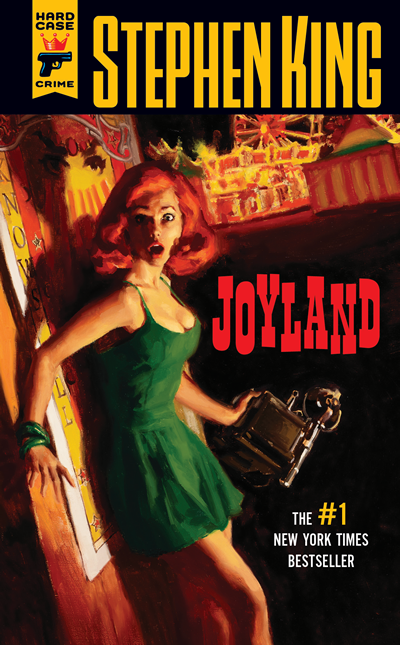 Hard Case Crime has now released Joyland for the first time in the classic rack-sized “mass-market” paperback format typical of pulp crime novels of the '40s and '50s. Amazon | Barnes & Noble | B.A.M. 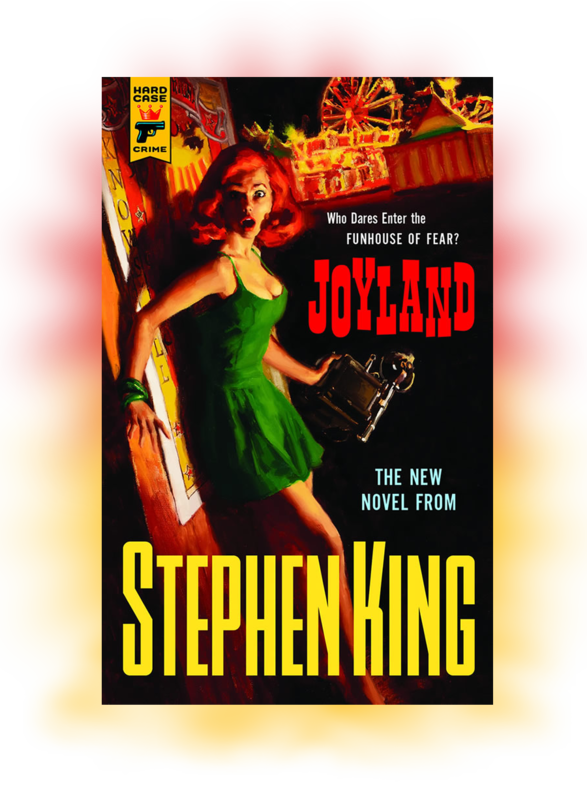 The hardcover special edition of Joyland is unsigned and limited to 1500 units worldwide. 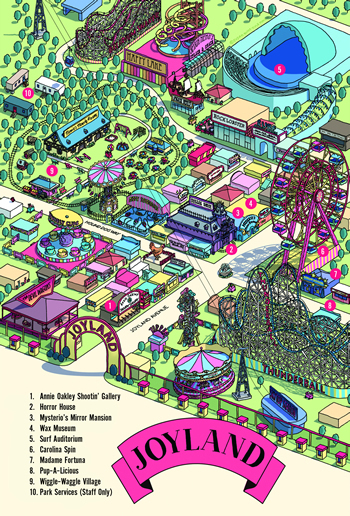 It features nine gorgeous illustrations from master artist Robert McGinnis and a map of the Joyland amusement park, created especially for the hardcover limited editions by Susan Hunt Yule. Please Note: There were also two extremely small signed editions (Signed Lettered and Signed Numbered) but those sold out within a few hours of being announced. 1.27.14 - Joyland will be released in the spring of 2014 as eBook and Mass-Market Paperback editions. 6.11.13 - Celebrate the release of the Joyland Audiobook! Enter to win a $2,000 gift card towards travel as well as a 32 GB iPod Touch pre-loaded with some of your favorite Stephen King audiobooks! 6.6.13 - StephenKing.com Exclusive - Listen to the extended Joyland Audiobook excerpt available exclusively on StephenKing.com. 6.6.13 - Listen to an interview with the reader of the Joyland Audiobook, Michael Kelly. 6.5.13 - Entertainment Weekly has posted an excerpt of the Joyland audiobook read by Michael Kelly. 6.3.13 - Stephen appeared on The Today Show to discuss Joyland and other topics. 5.31.13 - Why Cling to the Past? Charles Ardai of Hard Case Crime, publisher of Joyland, has written an essay explaining why it will not be simultaneously released in digital format. 5.31.13 - Stephen will appear on The Today Show to discuss Joyland on Monday June 3rd. (most likely in the 8-9am hour) We'll post a video of the appearance to the Multimedia page on StephenKing.com as soon it becomes available.